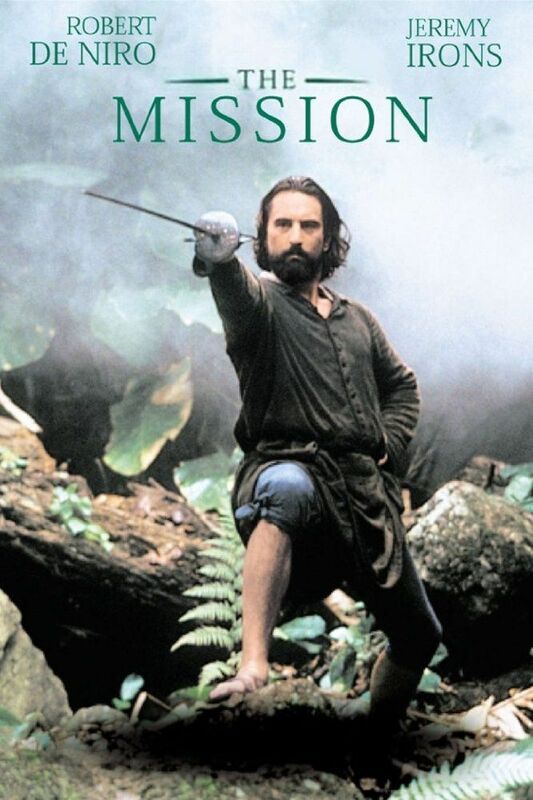 The Mission, an original screenplay directed by Roland Joffé, was released on October 31, 1986 after debuting at the Cannes Film Festival where it won the Palme d’Or. With a budget of 24.5 million dollars, it made 17.2 million dollars at the US box office. The film was well received by audiences and critics alike, though some of the critiques of the film were that it lacked character development and that it was too “religious.” Critics applauded the cinematography of the movie, which was filmed in South America where the indigenous community depicted in the film once existed. The Mission narrates the struggle of the Jesuit missions to survive after the Treaty of Madrid, which marked the transfer of Spanish lands to the Portuguese. The Jesuits fight to protect their missions from the Portuguese after the treaty. Signed in 1750, the treaty transferred land containing seven missions to the Portuguese, who engaged in the slave trade. The Jesuit order, established in 1534 by Saint Ignatius of Loyola, was not formally recognized by the Catholic Church until 1540. By 1610, the Jesuits had established their first mission in Paraguay and continued developing them, ending the seventeenth century with about thirty missions throughout the country. The goal of the missionaries was to convert the indigenous people to Christianity. Many of the indigenous people resisted conversion and those who did convert only did so after the missions had been there for decades. 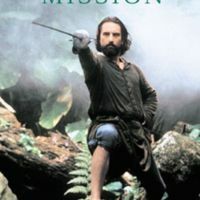 The Mission follows the lives of the fictional Father Gabriel (Jeremy Irons) and Rodrigo Mendoza (Robert De Niro), a former slave trader who becomes a Jesuit, in the mission of San Carlos, seeking to convert the native Guaraní. Historically an agricultural people, the Guaraní originally welcomed the Jesuits onto their land because of the iron they brought with them from Europe, as this iron could be used to make tools that would advance their farming methods. At the beginning of the movie, Father Gabriel’s oboe playing gains him the trust of the Guaraní, for whom he helps build a settlement. The Jesuits claim to be different from the colonial settlements that enslave the indigenous people because everything created or earned goes back to the people. The actual Jesuit missions, however, were stricter. They had complete control over the economics and politics of the community. The movie depicts the missions to be an oases of egalitarianism, but historically many Guaraní chose not to be in a mission or ran away from them. The historical inaccuracies in the movie allow audiences to see the history of the Jesuits and their missions from the point of view of director Roland Joffé. A debate over the importance of the missions is supposed to communicate the idea that the Jesuits are good, the colonists are bad, and the Guaraní are a people in the background with no agency or personalities of their own. Despite how often the Guaraní speak, there is only one scene within the movie where audiences understand what the Guaraní are saying and only through Father Gabriel’s translation. Their lack of language, as well as many scenes in which the Guaraní rely on missionaries to help them, make them seem like simple or incapable people. Such characterizations also extend to the scenes of battle, in which the Guaraní are led by the Jesuits, who had historically suspended the missions before The Guaraní War began in 1756. Many themes in the movie place it into the “medieval” genre, especially its themes of Christian conversion and the proper exercise of Church authority. The goal of the missions was to convert non-Christians to the religion, under the assumption that they did not already have one. When this is threatened by Treaty of Madrid, Cardinal Altamirano (Ray McAnally) arrives in Paraguay to protect the authority of the Church. Another theme within the movie is the separation of social groups. The different social classes that appear in the movie—colonial nobles, Jesuits, and the indigenous—often do not interact in the movie. This brings to mind the medieval separation of “Three Orders” – the nobles, clergy, and peasants. There are some other parallels to medieval political events, such as when the Guaraní fight to protect their land at the end of the movie, harkening to themes seen in films about the Crusades and the Hundred Years’ War. Finally, the idea of Christian redemption is ever-present in the movie. Rodrigo Mendoza, a slave trader who murders his brother, is welcomed into and finds peace among the Guaraní at the mission. Megan Sullivan, “The Mission (1986),” Medieval Hollywood, accessed April 24, 2019, http://medievalhollywood.ace.fordham.edu/items/show/154.